Cathy at Cathy 746 has a yearly challenge to read twenty books over the summer months starting on 1 June 2017 and running until 3 September 2017, and once again I’ve decided to join her. My aim this year is to read all twenty books in the allotted time span!! As I’m competitive I’m signing up for the full twenty. My personal challenge is to read these twenty books from my bookshelf, physical books that I already own and have purchased for myself before today. Funnily enough I have plenty to choose from… a whole 91 in fact! 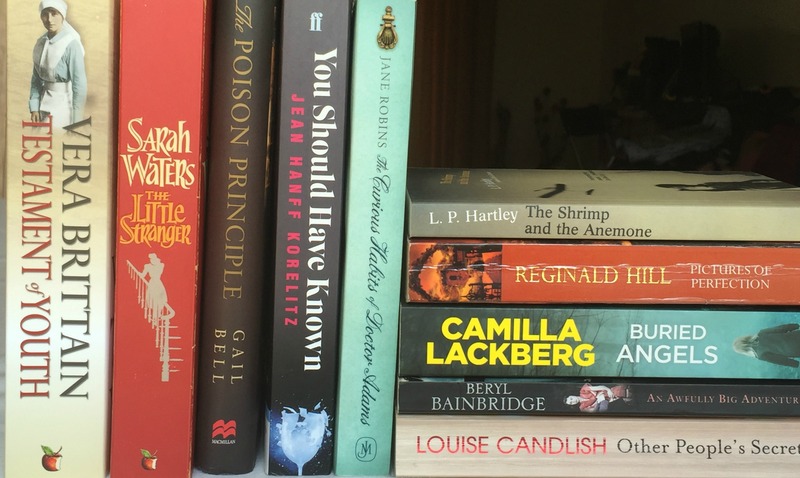 Because I know that facts in one book tend to lead me to seek out other books in my tangential reading style, I’ve decided to start with a spread of genres and authors for the first ten books – fat books, thin books and books in-between! Book lovers will completely understand the complexity of this choice which has taken many, many hours to hone to just the right mix, especially as I have had to factor in going on holiday and therefore I will have to further reduced the pile for the trip… I will post the next ten when these are all finished which should be in mid-July, if I’m on schedule! I will be joining Cathy by tweeting my way through the challenge using the hashtag #20booksofsummer to demonstrate when one of my reads is part of this challenge! Should be easy eh? As in the previous two years there will be a master page linking the titles to my reviews as they are posted, and of course eventually listing the entire twenty books. Top of my holiday reads is Reginald Hill, I always read one of his books on holiday, and of course there is The Island which I bought after visiting Spinalonga, Greece’s former leper colony in Crete last summer, Dorothy Koomson is an obvious choice but is In Cold Blood too grim for sunshine and cocktails? So what do you think of my choices? Where would you start? I’ve enjoyed looking at everyone else’s choices so far and after all having read the full list of 20, I will need replacements. 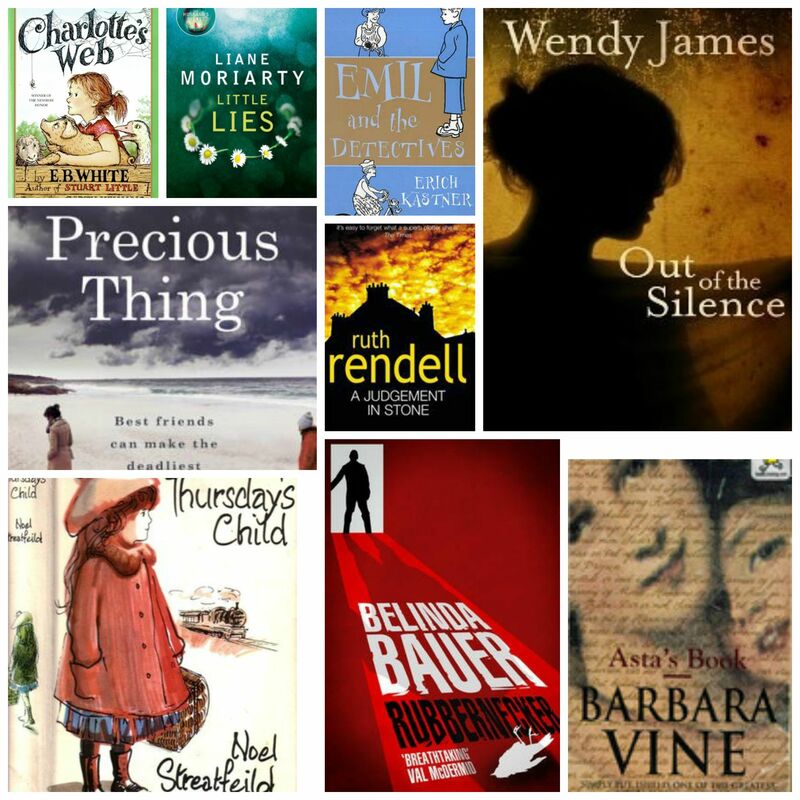 Cathy at Cathy 746 has a yearly challenge to read twenty books over the summer months starting on 1 June 2016 and running until 5 September 2016, and I’ve decided to join her. In preparation I had already decided not to read ARCs during June to get me off to a flying start. As I’m competitive I’m signing up for the full twenty. My personal challenge is to read these twenty books from my bookshelf, physical books that I already own before today. Funnily enough I have plenty to choose from… a whole 95 in fact! 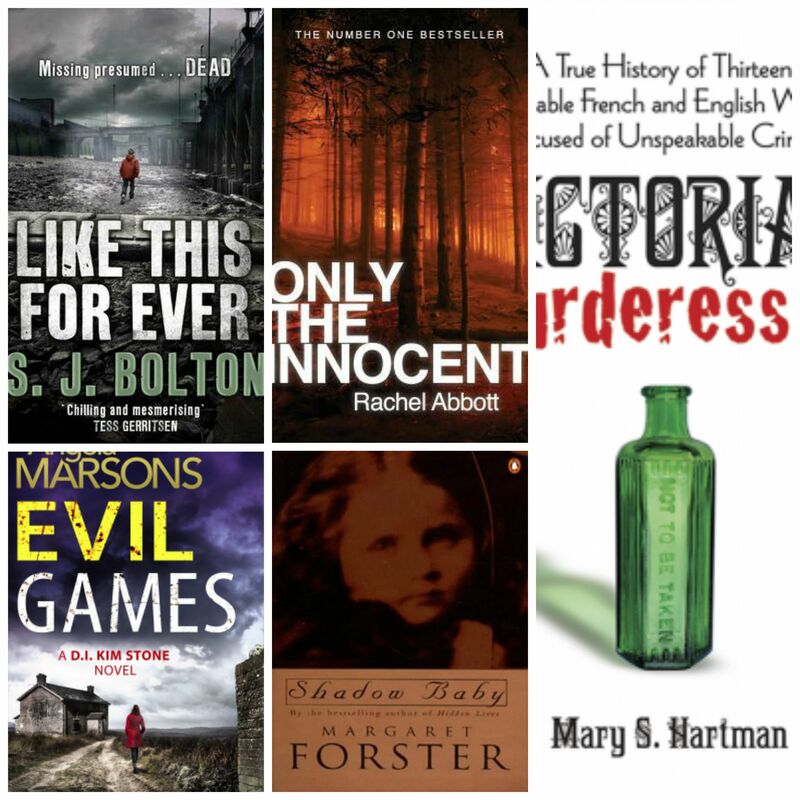 Because I know that facts in one book tend to lead me to seek out other books in my tangential reading style, I’ve decided to start with a spread of genres and authors for the first ten books – fat books, thin books and books inbetween! I will post the next ten when these are all finished hopefully mid-July, if I’m on schedule! 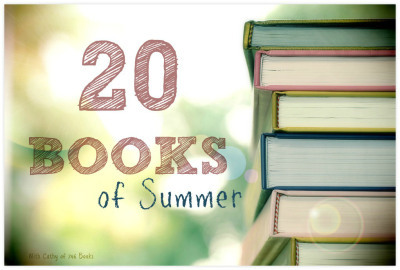 I will be joining Cathy by tweeting my way through the challenge using the hashtag #20booksofsummer and I will provide (a yet to be decided logo) to demonstrate when one of my reads is part of this challenge! Like last year there will be a master page linking the titles to my reviews as they are posted, and of course eventually listing the entire twenty books. So what do you think to my choices? Do you have any suggestions on where I should start or perhaps you think some of these need to be put back on the shelf and forgotten about? All comments welcomed! 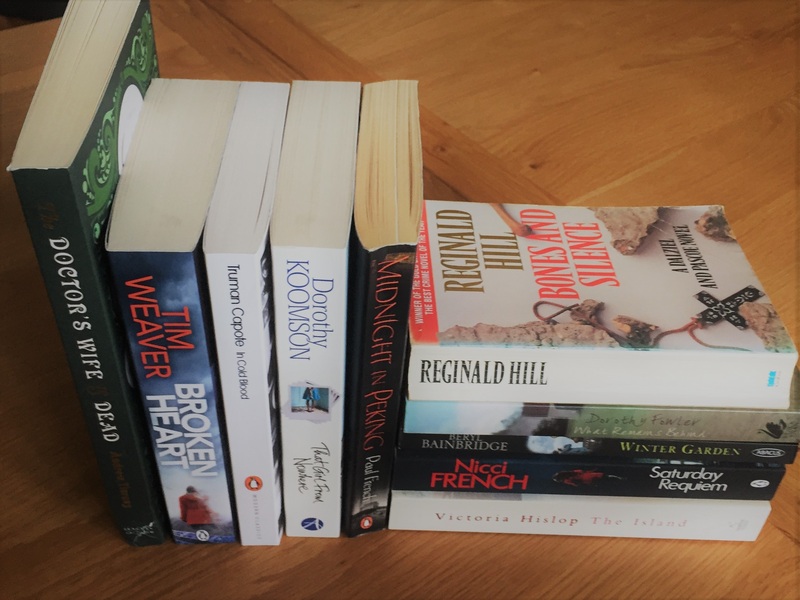 I saw this tag on many blogger’s sites in the summer and decided to have a go for myself – I decided to pick favourite reads of all time – I confess, my biggest problem was finding four books that started with the letter O, but I finally located those that deserved a place! The best opening line – “Eunice Parchman killed the Coverdale family because she could not read or write“. My favourite book from childhood – Margaret was my heroine, I read this book hundred’s of time although it sadly out of print now. My favourite of the psychological fiction books written by Ruth Rendell under the name of Barbara Vine which depicts Asta’s life from the turn of the twentieth century. Although published in 1976, this is a fascinating look at the social lives of women during the late nineteenth, early twentieth century as well as detailing some historical crimes. A fabulous new series which has a complex plot and is backed up by well-formed characters. Probably the book I have re-read most as an adult, a well told dual time-line tale, well researched and totally captivating. A historical saga set during the First World War, this is a story of sibling rivalry and a grand house. 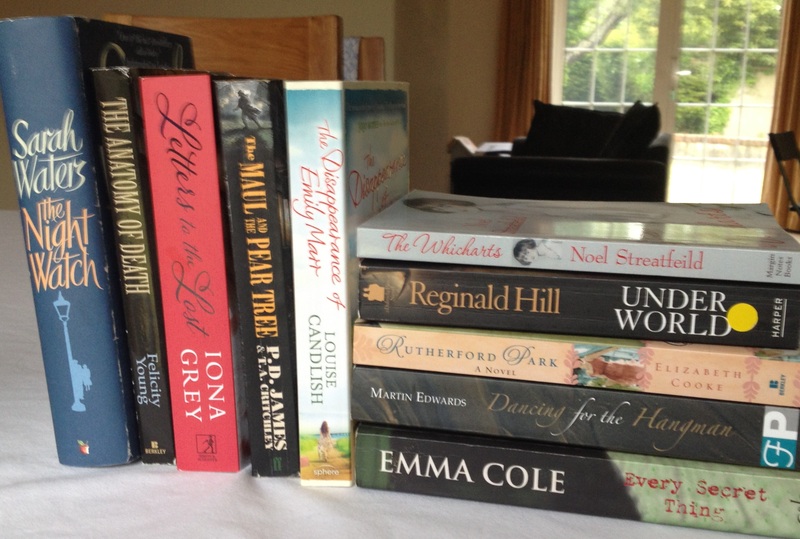 Cathy at Cathy746 has a yearly challenge to read twenty books over the summer months starting on 1 June 2015 and running until 4 September 2015, and this year I’ve decided to join her. I had already rationed myself from requesting quite so many review copies so the choices I make will be in addition to those that I have obligations to read and review. 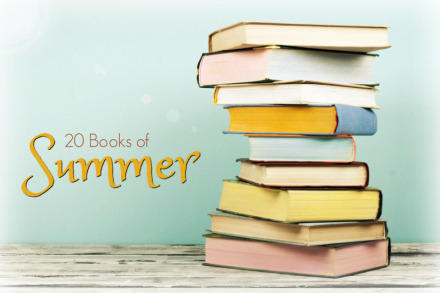 The only drawback with this challenge is I want to experience choosing a book that fits my mood so I have decided to begin by choosing a spread of genre to list the first ten books for my summer reading. I will be joining Cathy by tweeting my way through the challenge using the hastag #20booksofsummer and I will provide (a yet to be decided logo) to demonstrate when one of my reads is part of this challenge! A family come together at their family hotel based in Switzerland. The matriarch, Magdalena has summoned them all for a celebration but it is clear from the outset that there are tensions between her four children. This novel is quite simply about family life and how actions from the past have consequences years into the future. This was an engaging book with a number of incidents that force Magdalena and her children to reflect on their individual actions which have caused relationships to change within the family. Of course as the mother, Magdalena blames herself, but it is clear to the reader that her adult children have plenty to feel guilty about themselves. I enjoyed the book, although at times I did feel it over-emphasised the point that the author was trying to make. Less is sometimes more, and as a reader I do prefer to put the evidence together myself than being implicitly told that some of the children didn’t fare well being away at boarding school. However, I did like the fact that the offspring had differing memories of their time away. Often when reading about families it is assumed that siblings are at war and have opposing views on everything or so similar that there is little to differentiate them. 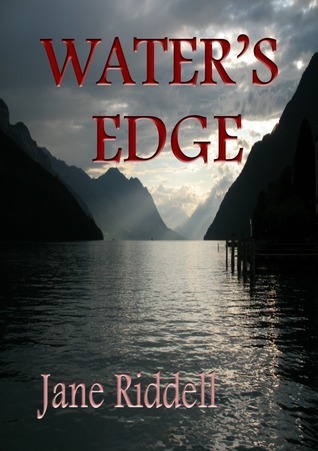 Jane Riddell avoids this lending plenty of shades of grey to the characters in this novel. A different, more reflective book, than I often read, this book tackles some difficult issues, particularly those involving the teenage Lucy daughter of high-flying lawyer Portia for whom this break has the biggest impact. I would read more by this author and would like to thank her for supplying me with a copy in return for this honest review. The beginning of this book took me by surprise, for a horrible moment I thought this was going to be a poorly researched voyage into the late nineteenth century; I was wrong, this book was a mixture of authentic details of life in the changing world of lunatic asylums along with a gripping mystery about what really happened on the fateful day when Lady Anne Stanbury killed her son. So why my initial hesitation? The language used was more modern than would usually be found in historical novels which I initially found quite off-putting. Anne uses colourful language, but she was incarcerated for being insane so this is entirely fitting with the illness and later on as she makes steps towards recovery the use of profanities declines. The story is told from multiple viewpoints including her Dr George Savage’s daily notes on his wealthy patient. Dr Savage is a leading psychiatrist at Bethlem Royal Hospital where he alone can be the one to free Anne from the hospital. The doctor is walking a thin line, as in his eagerness to see Anne become well enough to leave the hospital he starts counselling her husband, Edgar. Edgar is using alcohol as a crutch as he struggles with opposing emotions about his wife and needs all the help he can get! For the reader who enjoys their historical mysteries to be well-plotted with a firm grip on the newest ideas of the times this is well worth a read. I confess that I had some quibbles about the language used and minor historical facts at the crux of this book were well researched providing an enjoyable read on a subject rarely covered. When Rachel emailed me about this book I was intrigued. I suspect I know more than most people about infanticide and mental illness during this period as I was a proof-reader for my daughter’s dissertation on this very subject. As in many areas I became interested in the books and articles she carted backwards and forwards to university and soon progressed to on-line historical newspapers which covered these tragic cases. One of the related subjects that I picked up along the way was that of baby-farming. 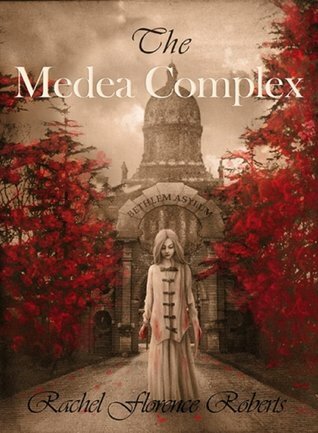 Amelia Dyer the chief perpetrator makes an appearance in the Medea Complex and although I didn’t quite agree with the context it did go some way to sum up the complex morality in late Victorian England which is neatly echoed by this accomplished debut. I received a free copy of this book from the author in return for this honest review. I have been eagerly awaiting the third instalment in the Kate Redman series written by Celina Grace. Kate a policewoman with a difficult past is called to investigate the murder of a young prostitute found stabbed on wasteland outside a disused warehouse. Kate is determined to find the killer but with few clues left at the scene her and the team have to put in plenty of leg-work interviewing known associates. Interestingly, the book is punctuated with excerpts from the killer’s diary which gives us a fighting chance of working out which of the characters is the killer. On the down-side there appears to be a few candidates. 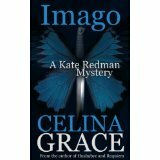 Celina Grace plots have proved to be interesting and well thought out with all the loose ends neatly tucked up by the end of the story, and Imago is no exception. The book moves at a pace, and although this is a fairly short book I didn’t feel cheated as there had been plenty to keep me entertained along the way. As in the previous episodes there is plenty of interaction between Kate and her colleagues although I can’t help but think she may just have stored up a whole load of problems with one of them…. Although you could read this as a stand-alone book I suggest you start at the beginning of the series with Hushabye. 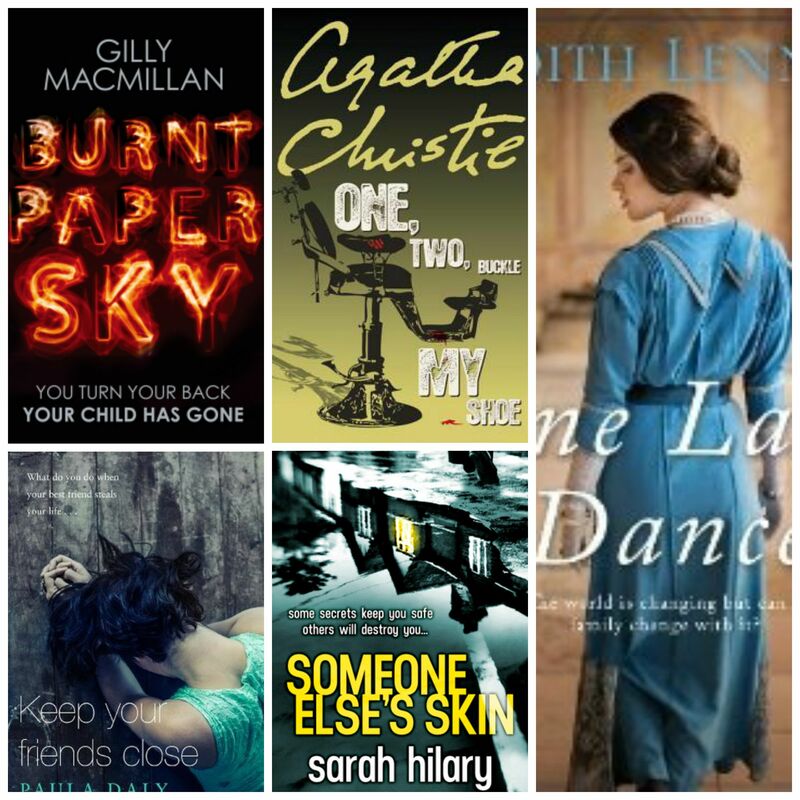 Click on the book covers to read my reviews. This is a fantastic study of human life, but don’t expect to find fluffy nice characters within the pages of this book. 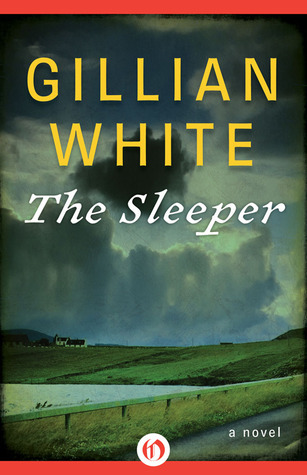 The Sleeper has a collection of people trapped in lives they don’t want to be in, those looking for others to provide their happiness, those who want to turn back time, and too many who think they can orchestrate a different future. Jealousy, suspicion and dastardly deeds are the presents for Christmas this year. With the roots to this unhappy Christmas originating in some part in the past the reader is let in on events involving Violet and the loss of her mother over fifty years previously. The narrative to this book is unusual using a narrator viewing events as a whole inviting the reader to question each person’s actions, thoughts and adding pertinent information to enrich those tales being told in the present. I really enjoyed this most claustrophobic of novels, the isolated farmhouse with its aga, candles and a pervading darkness hiding more than anyone would have expected. This book, reminiscent of those written by Barbara Vine, was first published in the 1990’s. Open Road Media has re-published this book, and others by Gillian White, for the kindle. Excellent news for anyone who hasn’t had the pleasure of this talented writer before, or those of us who missed some titles the first time around. I received a free copy of this book from Netgalley for my honest review. Since I have a large collection of ARCs and cheap books on my kindle I decided this was a great opportunity to make a real effort to clear some! Remember to visit Fantasy Is More Fun and Because Reading is better than real life so you can both sign up in the linky and participate in the giveaway. Hopefully I will get all 10 of these read before 30 November!